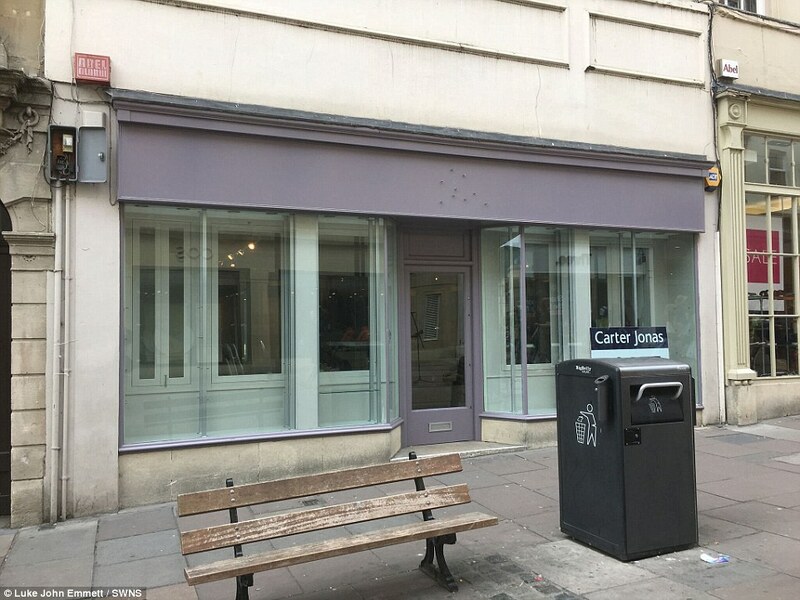 One of Britain’s most historic and exclusive shopping cities has been turned into a ‘ghost town’ – with 42 empty shops in the centre, according to a frustrated campaigner. 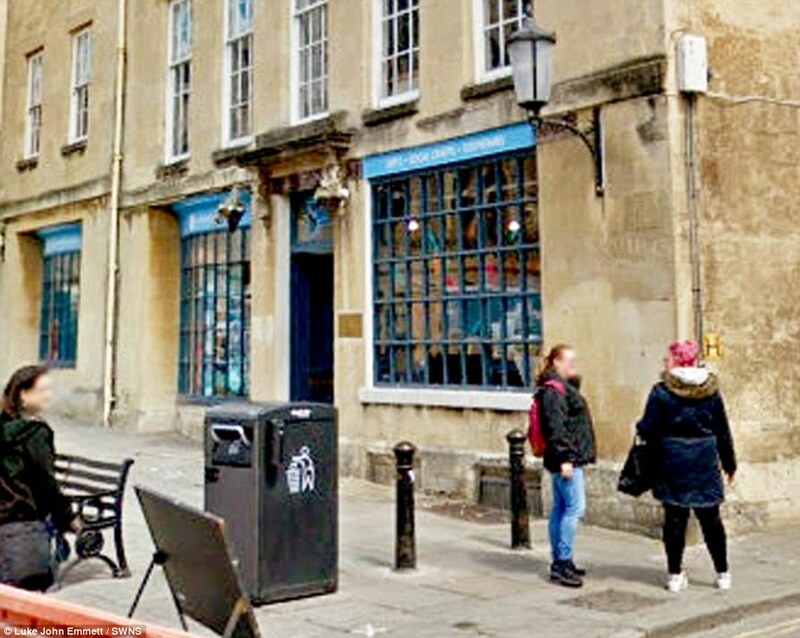 Bath in Somerset has attracted wealthy tourists and shoppers for hundreds of years and was the playground of the Roman, Georgian and Victorian elite. 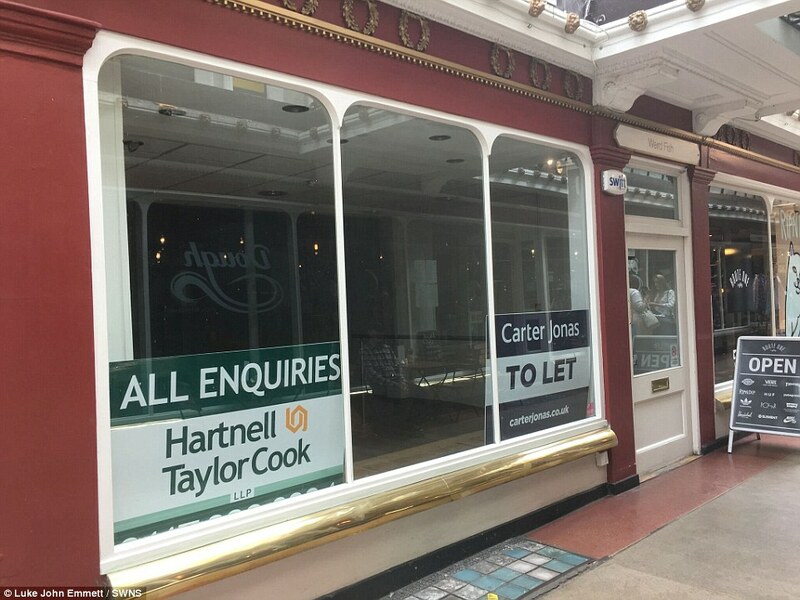 The spa city and World Heritage Site is famous for its parades of shops, hotels and restaurants considered one of the UK’s top tourist hotspots outside of London. 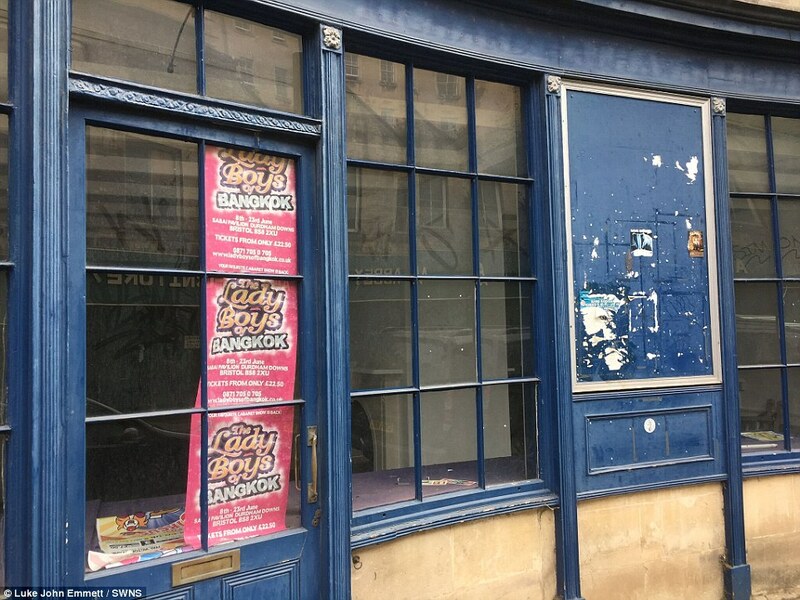 But local Luke John Emmett, 32, of campaign group Bath Deserves Better, says it is now peppered with abandoned shops. 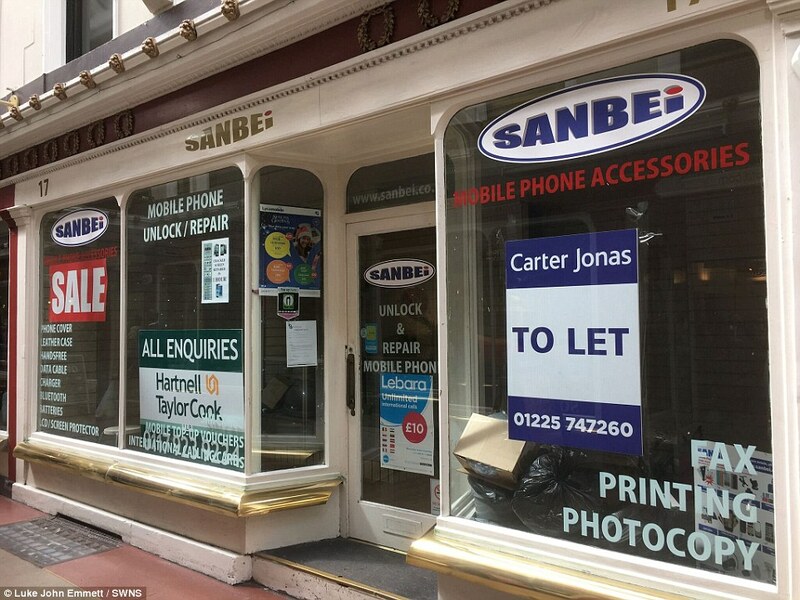 He took photographs of neglected premises while walking through the town last Tuesday. 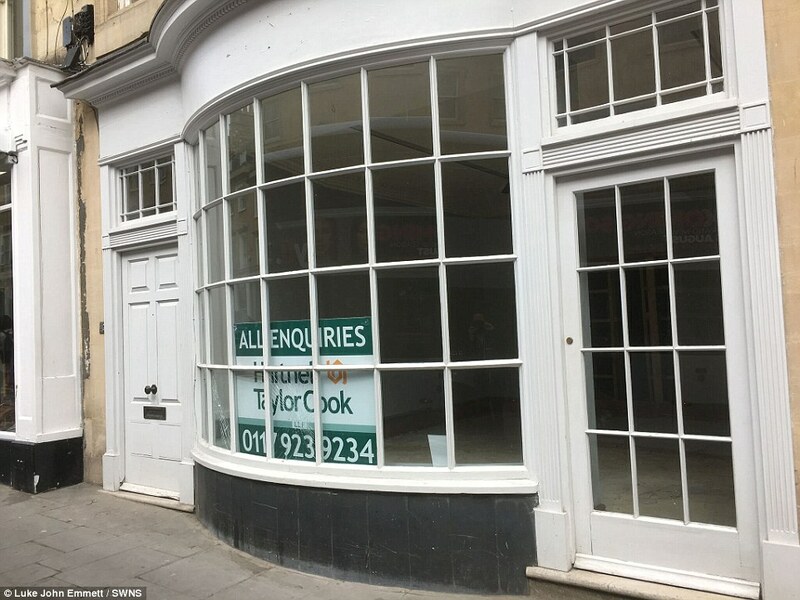 He described the growing number of empty shops as ‘shocking’ and said the UNESCO World Heritage Site was beginning to feel like a ‘ghost town’. 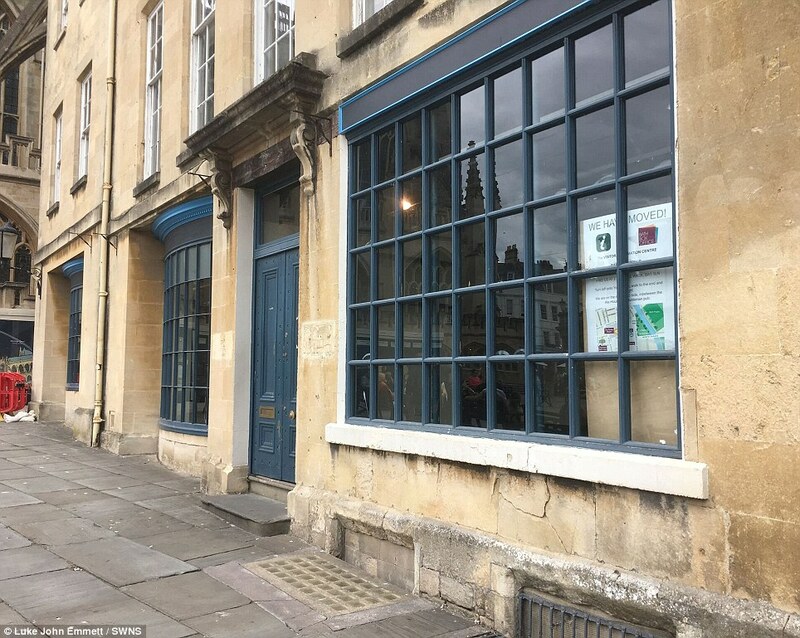 ‘All these photos were taken in one day on a quick walk around Bath,’ he tweeted. 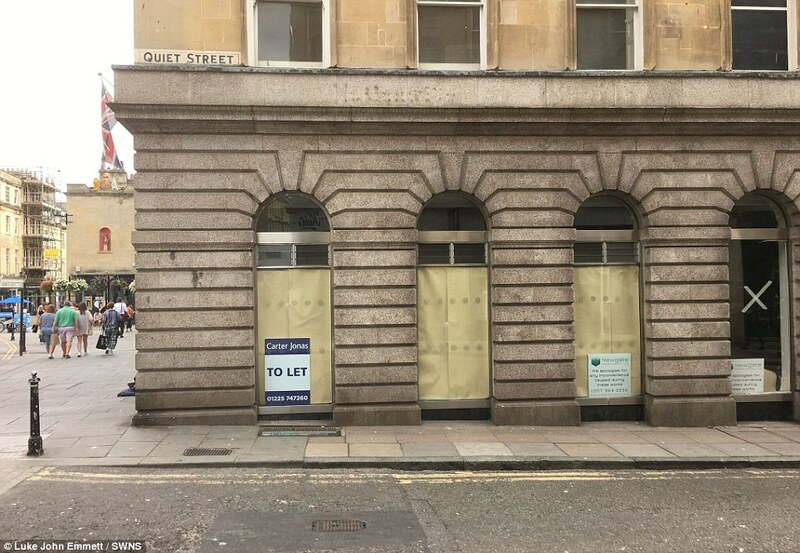 ‘It’s SHOCKING that so many empty properties sit around Bath. 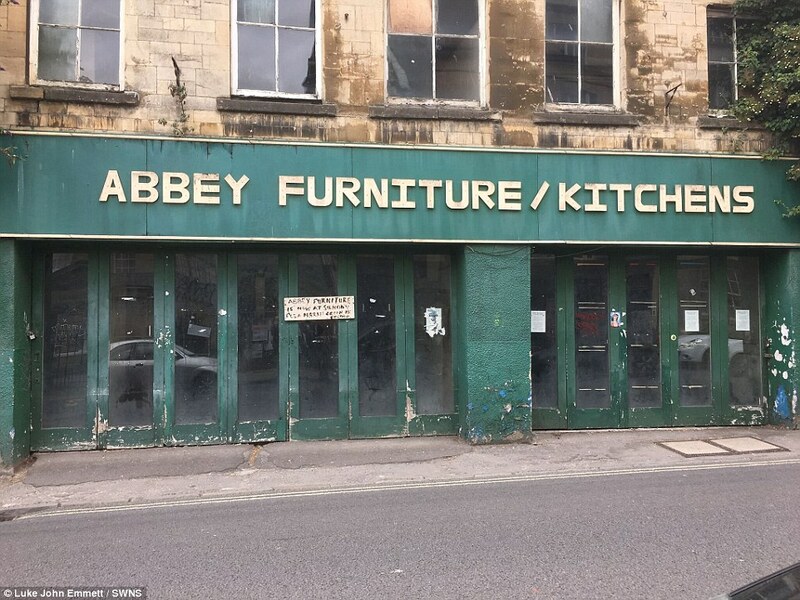 It’s not good enough. 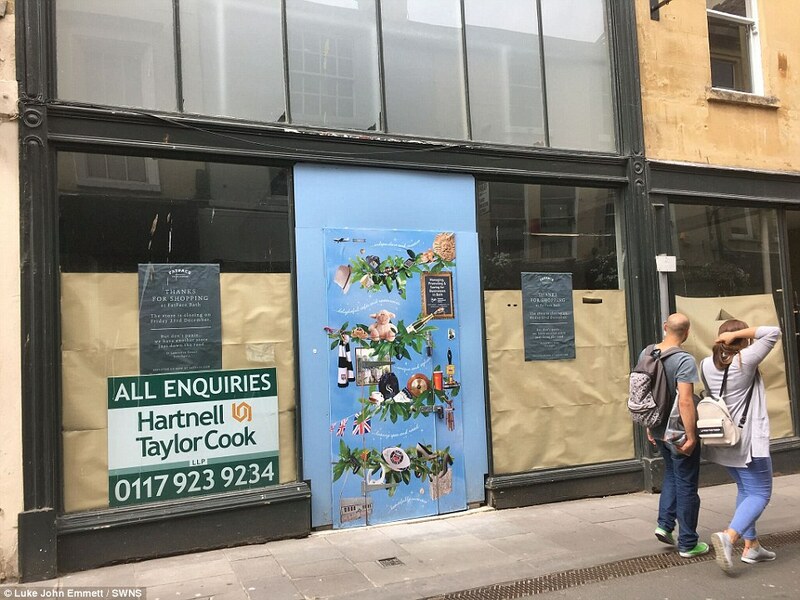 Mr Emmett said he hoped the photographs would help raise awareness of the struggles facing one of the UK’s most-visited cities. 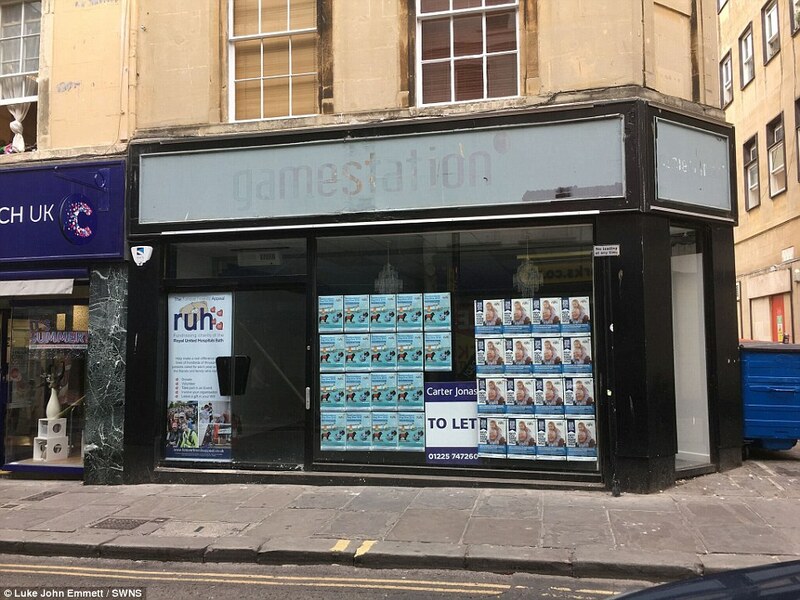 He told Bath Live: ‘The other day I was on a bus as it went up Walcot Street and it just struck me how many shops were empty and looking sorry for themselves. 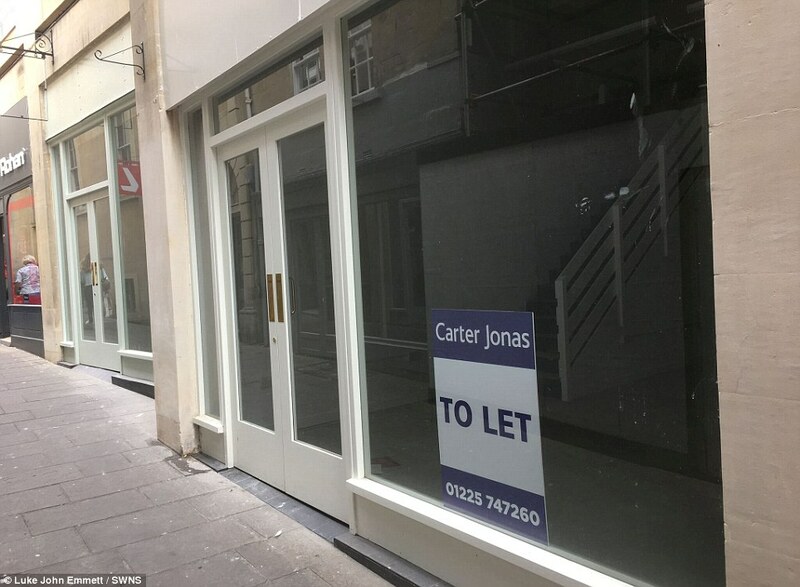 Mr Emmett counted eight vacant retail units on one street alone. 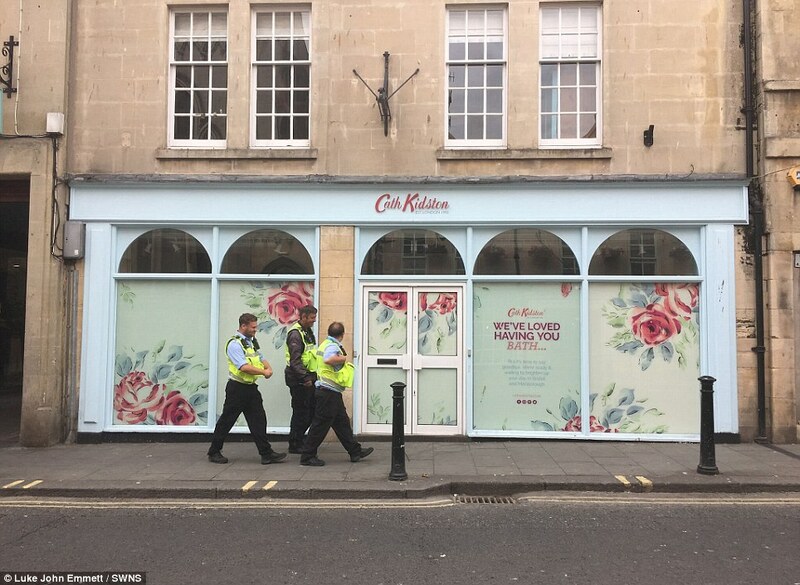 Earlier this year one business owner, also based in the heart of the city, said the number of empty shops in Bath was ’embarrassing’. 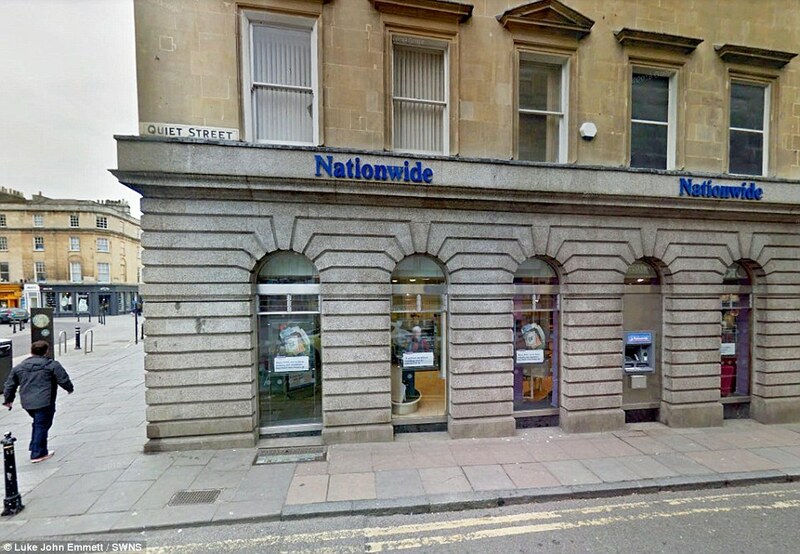 Other business people have hit out at the cost of business rates and rent making it difficult to thrive in Bath. 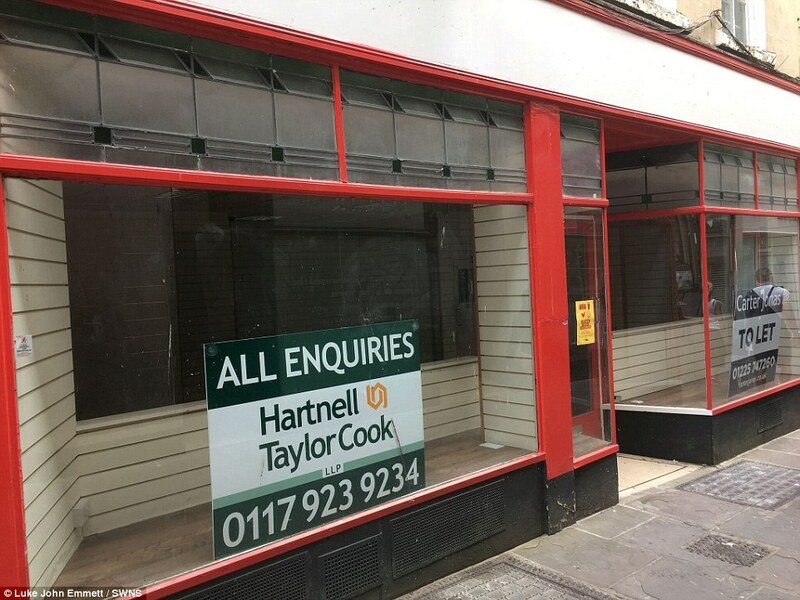 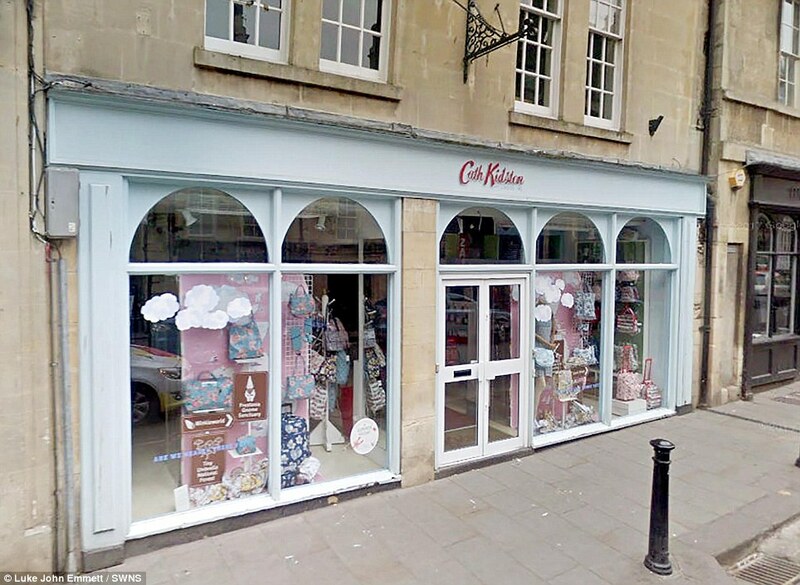 Bath and North East Somerset council has said it takes the problem ‘very seriously’, while also pointing out that many of the empty shops Mr Emmett counted are set to be brought back to life in the near future. 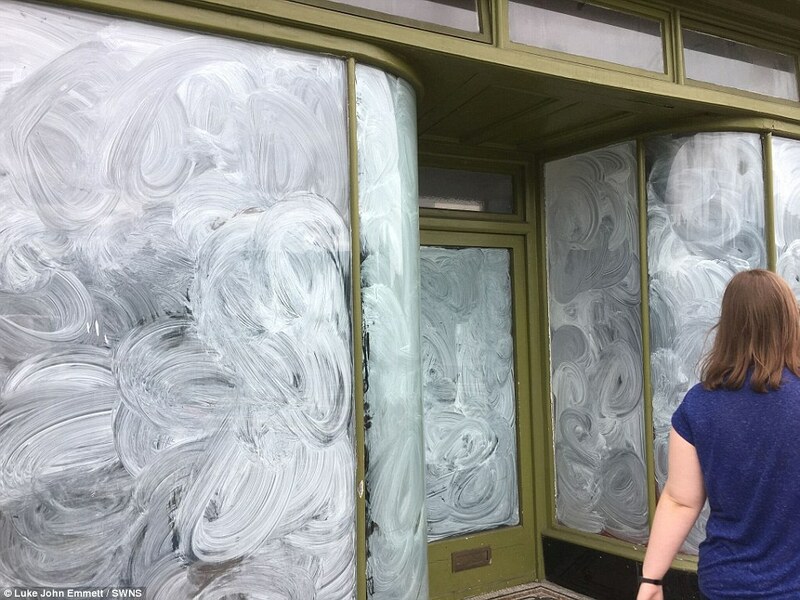 But Mr Emmett believes the council needs to be more ‘open to ideas’. 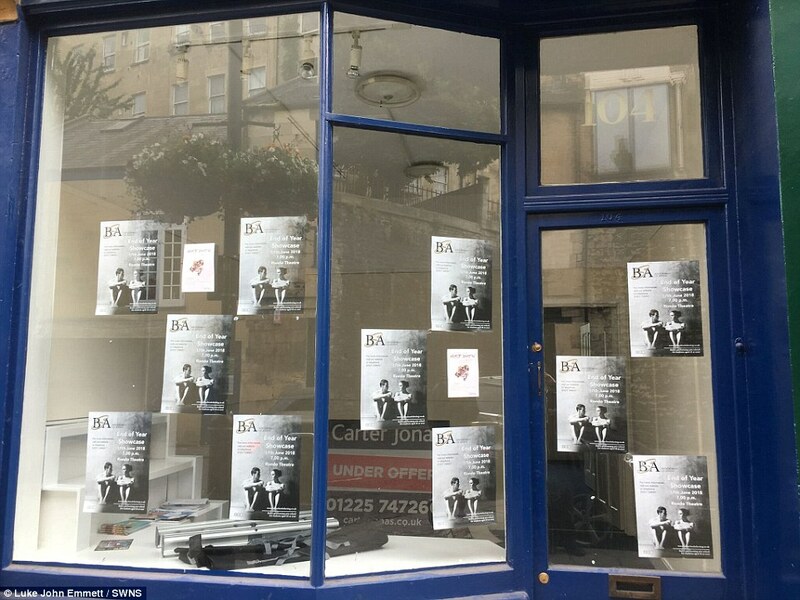 He added: ‘Bath is terrible at advertising itself to its own residents. 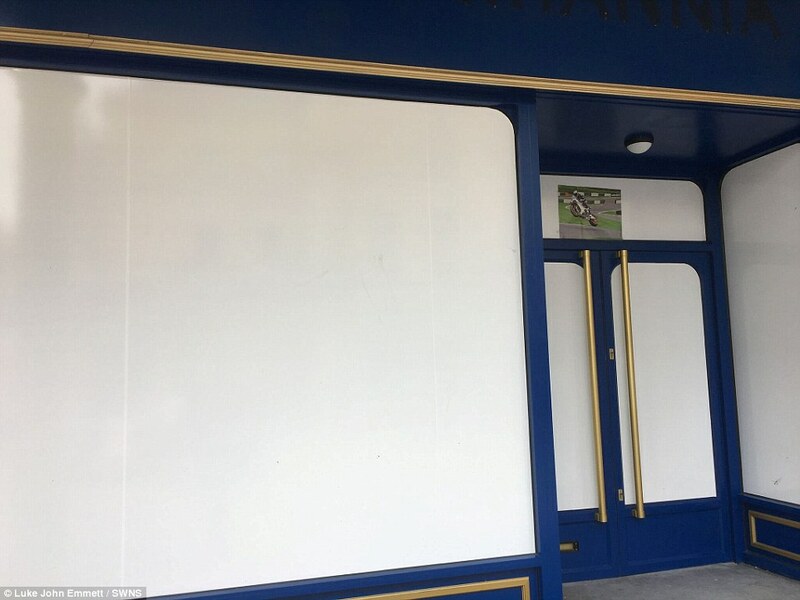 He said: ‘Whatever the SouthGate are doing, they’re doing it right. 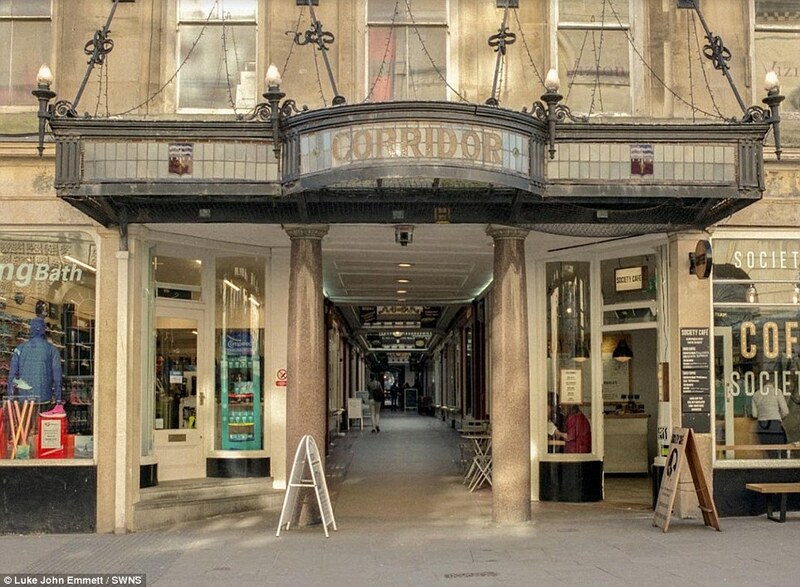 They keep it clean and shops are never empty there for very long.